In August of 2013, the Genesee Valley Chapter lost one of its younger members in a tragic car accident. Joel Ajavon, beloved son of Joe and Gale Ajavon, shared his dad’s passion of all things BMW and was a dear friend to many in the BMW car club for all of his life. Just like his father, Joel Ajavon was always ready to help a friend. Many of his friends have expressed their appreciation for what Joel did for them. He truly made a difference in their lives. In honor of Joel's life, friends have started the process of creating a permanent memorial. His wonderful spirit and love of the cars and the culture that brings us together is a great opportunity for giving to a worthy cause. 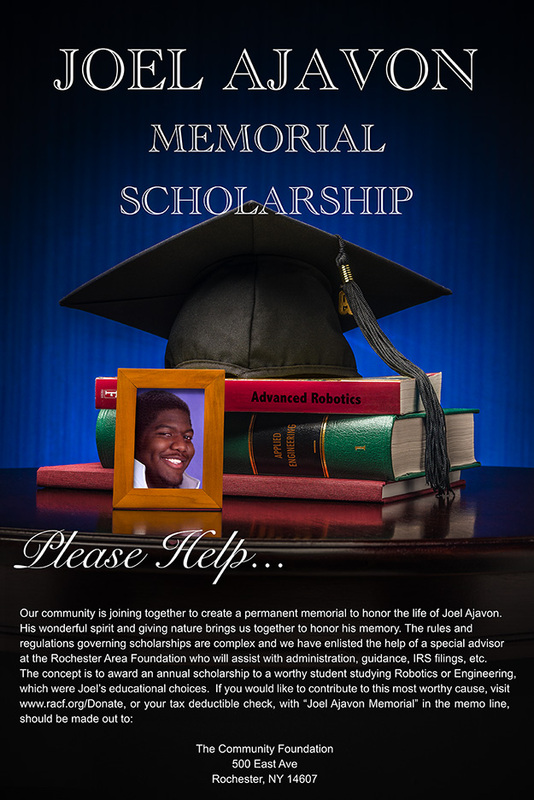 Our objective is to establish a fund that would award an annual scholarship to a worthy student studying Robotics or Engineering, Joel’s educational interests. Worthy recipients will be chosen based on their achievement and financial need. As the rules and regulations governing scholarships are complex, a special adviser at the Rochester Area Foundation has been enlisted to assist with administration, guidance, IRS filings, etc. Our goal is to reach a self-sustaining balance of $25,000. This amount will allow the scholarship fund to be self-funding through investments, and provide scholarships to worthy students year after year. with “Joel Ajavon Memorial” in the memo line.